Once you are in the Subscriptions page, you can tap on any of your subscriptions and change the primary payment information, setup backup payment information or cancel your subscription. 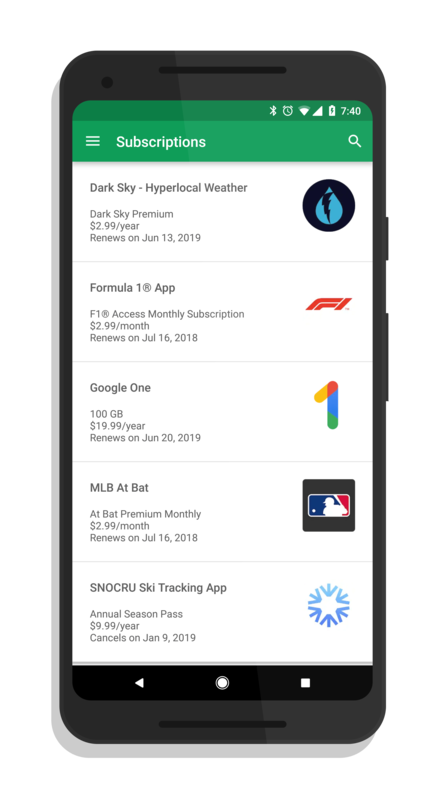 To help developers and to encourage them to use the new Subscriptions page in the Google Play Store app, Google is allowing them to deep link in their apps to the page. Further, when a subscriber cancels their subscription, developers are notified and why. The change is a cloud-side change so it is just a matter of when it rolls out to your account. That said, it appears to have broadly rolled out at this point so most readers should have it now.